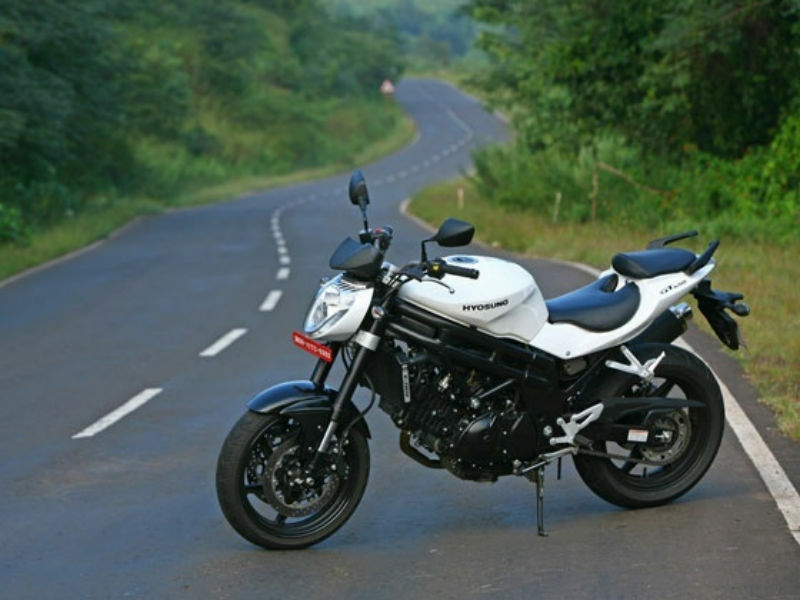 Hyosung GT 650N is a stylish bike known for its higher performance and better road grip. Read the review to explore the features, technical specifications & price. Hyosung the brand name of a Korean automobile manufacturing company in a run to capture the global market has brought GT 650N into India. 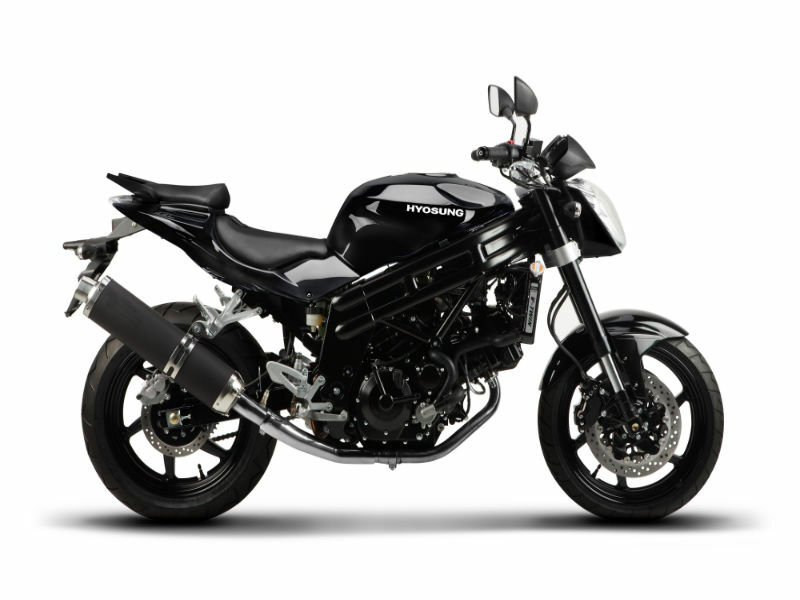 The standard bike is powered by 647 cc muscular V engine designed for high bhp. With a seat height apt for an average Indian the bike is given a larger wheelbase for better control of the bike at top end speeds. The thick wheeled ride has an engine and transmission assembly is coated in black along with the front fender. The fairing free bike is given a headlamp with a body colored outline covering the V shaped frame. Hyosung GT 650N like the Ducati models has a 90deg V twin engine where the rear cylinder is almost vertical and the front cylinder is almost in the horizontal axis. The engine is liquid cooled (water) and each cylinder has 4 valves, two at inlet and two at exhaust. The valves use DOHC where they are run by two cam shafts. This type of valve mechanism is suitable for GT 650N for better performance at top end speeds. The engine could deliver a maximum torque of 60.9 Nm at 7500 rpm. The highest power deliverable from the engine is 72.68 bhp at 9000 rpm which means that the bike may take some time but could strike speeds higher than its competitors considering only the performance of the engine. Hyosung GT650N is designed for a comfortable riding posture with the handle bars raised to a comfortable holding position and the foot rest is below the rider. The commuter can sit straight to hold the handle bar and can ride the bike comfortably. The fuel tank of Hyosung GT650N has a unique design with the brand name Hyosung at its sides. The muffler is upraised towards the rear and has a black coating over larger cross section. The seat is separated with the rider's seat at a lower position compared to pillion. Both the seats are flat and give the rider and the pillion a comfortable and safe position. The powerful engine's ride is broken by two discs on the front and one on the rear wheels that use a hydraulic medium to energize the piston calipers. 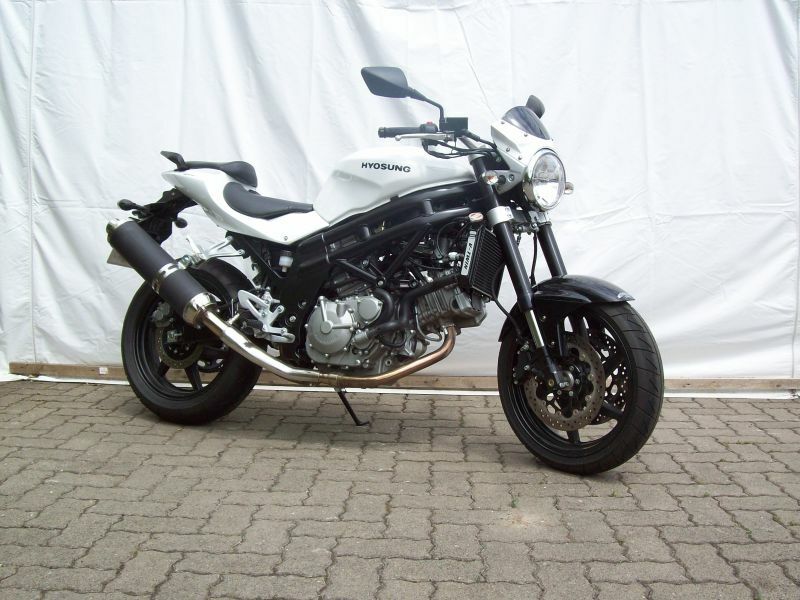 The bike is given a large wheel base and has telescopic shock absorber at the front and a mono shock absorber at the rear. The progressive linkage of the mono shock absorber gives a comfortable feel in normal riding conditions at speeding and braking and the suspension tends to become stiffer on a bumpy road. The engine power is transmitted through a 6 speed transmission and the highest rated radial tyres of GT 650N are capable of running at speeds over 240 kms/hr. The high power output bike can give a mileage of around 24 to 28 kms per litre of petrol. This mileage depends on a large number of factors which include load, riding conditions, type of road etc. Hyosung GT 650N is available in Black Puma, Racy Red and Majestic White colours. The price of the bike in India is around Rs 5,10,000 under applicable conditions.